EXTREME Jet Ski Skills Presented By Johnny Leftly! People tend to try everything possible while on vacation. Whether it is a word of a personal experience or watching somebody else doing something extraordinary, like jet ski skills, for example. No matter if it is a summer or winter vacation. Either way, if you don`t try something new, it would be like you have not been to a vacation at all! However, there will of course be people who would disagree with this. But that`s not gearhead style! Anyways, the video you are about to watch features extreme freestyle pool activities. Not the ones that first came up to your mind! If it wasn`t for the topic you would`ve never guessed! 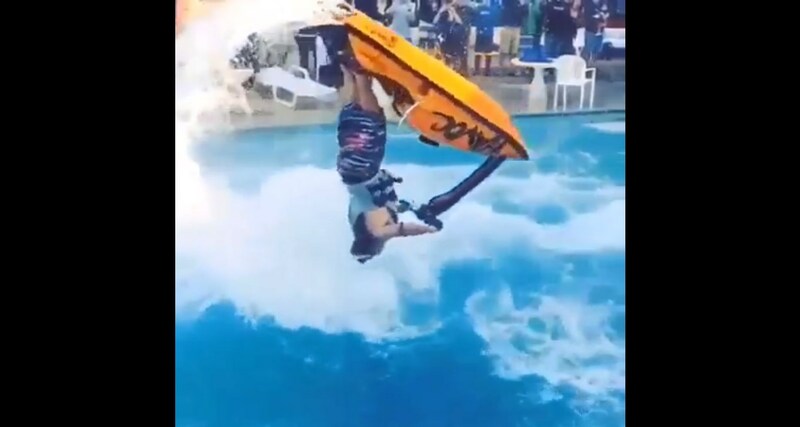 In the video below, you are going to watch Johnny Leftly, National Champion Freestyle Jetski competitor with English background and also a film stunt driver, performing what he knows best -- jet ski skills! Some of you who are more into jet skiing may heard of this guy, but those who are not, but still want to see some action, this is the right place to be! Thanks to the slow motion video, you have the chance to thoroughly see Johnny`s movements! This guy`s incredible performance was a part of the 2015 Wavedaze event! Hungry for more flipping jet-ski skills?! Follow this link to watch another insane video!